WINONA, MINNESOTA, USA – Engineered Sheet Products (ESP), a division of RTP Company, has developed a unique thermoplastic sheet with anti-static properties inherent throughout, providing permanent protection from the damaging effects of static electricity and dust. 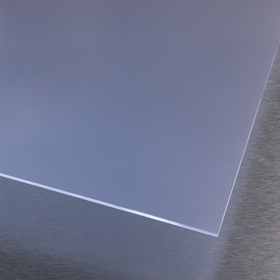 Known as PermaStat™ sheet, this compounded thermoplastic sheet features consistent surface resistivity of 109 to 1011 ohms/square, offering an excellent solution for OEMs and processors who require superior ESD protection and dust control. When higher conductivity and lower surface resistance (107 to 108 ohms/square) are required, ESP also offers PermaStat Plus™ sheet. The PermaStat sheets are free of carbon-based additives, and do not slough, making them ideal for dust-free environments. They are fully colorable, and can be custom colored to meet specific application requirements. In addition, they contain no corrosive agents to out-gas on metal components, thereby eliminating costly pre-cleaning steps in electronic assembly operations. MIL-PRF-81705D static decay specifications, and can also be made from compounds that comply with UL-94 V-O flame ratings. Innovation Bulletin Download Download a print-friendly PermaStat Sheet innovation bulletin in PDF format. For questions regarding custom engineered thermoplastic sheets, telephone the ESP team at (800) 432-2386, or visit the ESP website at www.engineeredsheetproducts.com. ESP-Engineered Sheet Products, a division of RTP Company, applies 30+ years of thermoplastic compounding expertise into the manufacturing of specialty engineered thermoplastic sheet with a focus on Conductive, Anti-static, Thermoplastic Elastomer, Flame Retardant, High Temperature, Structural Reinforced, Wear, Lubricated, and Color solutions.